Ya all know the old saying--"If the shoe fits--wear it." 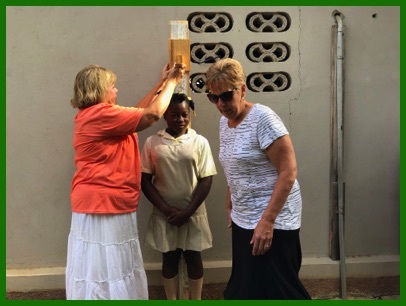 This week our MH4H Haiti Mission team got to demonstrate that in a very practical way. 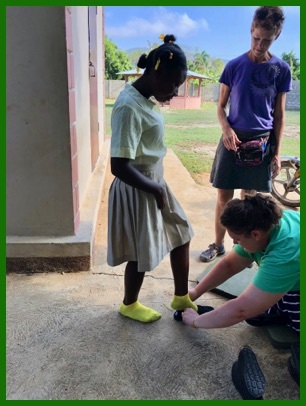 Monday our entire group took a ride in the countryside to Fountain of Christ School to provide a new pair of shoes to the students. It is more than just shoes. 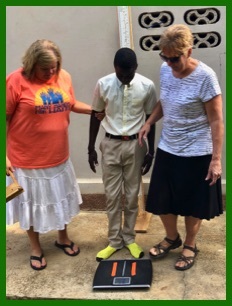 Our two nurses, Diane and Sheryl measure this little girl's height and take this boy's weight. 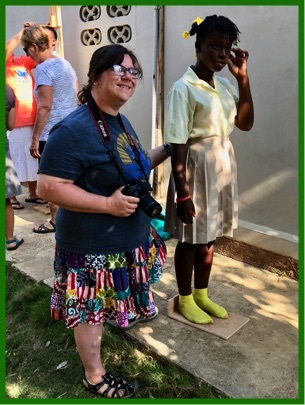 Next our team leader, Andrea, measures this little girl's shoe size and Rhonda picks out the perfect fit. This "shoe" doesn't seem to fit--these people should not be living in these homes--but there is hope--read on. MH4H has two very capable and compassionate young men, Erilner and Ewand, who deliver and/or repair mobility carts throughout the countryside. They discovered this family had an even greater need. Their home was in deplorable condition and beyond repair. That couldn't be! Many Hands built the family this beautiful new home that will last for many generations. This was a complete surprise to me and a highlight of my trip. 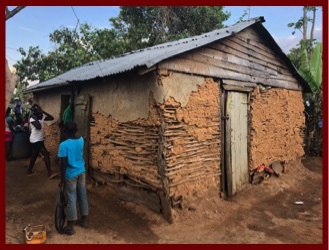 This home, built by Creekside Church, was completed and occupied by a very needy family. I did not even realize construction had begun, so you can not even imagine how I was filled with joy and happiness. I titled this page "IF THE SHOE FITS--WEAR IT." That old saying means--if you find something that seems right for you--go for it and live out your dream. 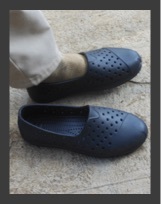 I always like to take my shoes to Haiti and I believe I've found the perfect fit for me and my family. There are many needs in Haiti. 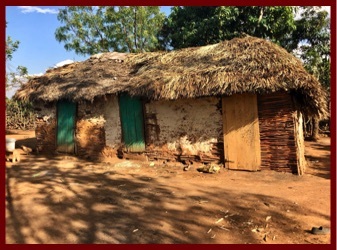 We cannot begin to be all things to all people, but each of us can find our own little niche--homes for the poorest of the poor is mine. I grew up on a farm in the hill country of Western Iowa without the amenities we enjoy today--no electricity, running water, indoor plumbing or even a telephone. Yet we were extremely rich compared to so many families living in Haiti today. Many homes have roofs and walls that leak and let the wind, varmints, insects and water come in. The dirt floor becomes mud and many have no beds, so mud becomes the mattress. 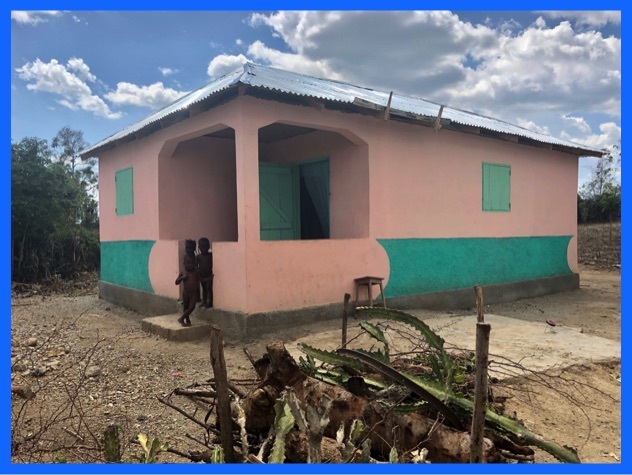 It is my desire to share some of my resources to reach out to some of my dear Haitian friends by providing a basic new clean and safe home that will be passed down to the family for many generations to come. If you feel led, you can experience that same joy, too. 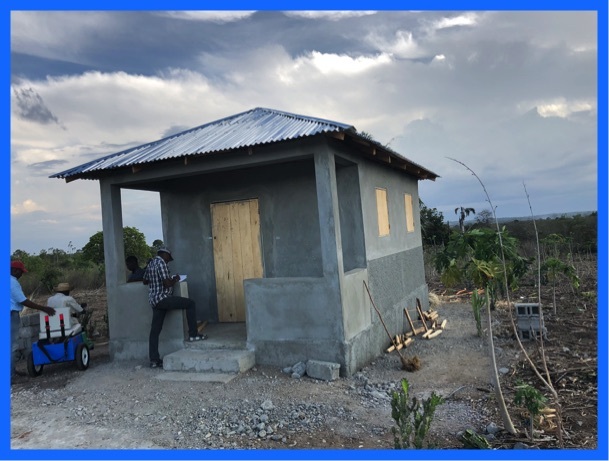 A very nice home can be built in Haiti for about $4000. If you would like to build a home as an individual, a memorial to a loved one, a church, or other organization project, please let me know. 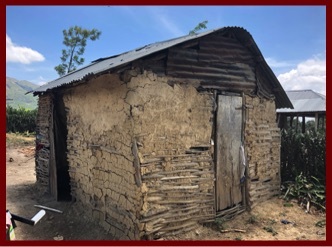 Of course Haiti is my love, but if you have another mission you are passionate about, I hope you will find "your own shoe that fits--and wear it."